The trees are already showing the first autumnal colours and you might think that your home is doomed to look forever grey and dull until the next summer. But don’t bet on that just now. In fact, in less than two weeks you can increase the value of your home significantly. Whether you’re trying to sell or not, there’s nothing wrong with investing time and effort in making your home look and feel better. Home sweet home, after all, is more than just a sign you hang by the front door. It’s a lifestyle, and it demands some proper investment to work. So how can you revive your home and fall back in love with it in a fortnight? It’s simple: tailored improvements! In a previous article on skullmadmama.com, you’ve discovered a few tips to add value to your property by giving your garden the extra care and attention it deserves. In fact, even when the nights are getting darker, you can still turn your garden into a social spot, specifically by creating a space that can be used all year round. Adding some decking or a patio to your garden acts as an extension of your house and if done properly – and with the addition of a smart firepit or heater – you can enjoy staying out late and grilling marshmallows outside when your neighbours are sipping tea inside. If you’re handy with tools, you can even add your own decking in a weekend. Ah, the bathroom! Most homeowners focus on improving the bedroom, and while sleep matters, your bathroom is a key factor of beauty and relaxation. For a spa feeling in your bathroom, you want to get a stand-alone bathtub, a large mirror above a double sink and variable light features. Bathrooms tend to be expensive to improve but if you’re worried about a loan, check your equity potential with homeequitylineof.credit: this will let the home raise the money you need for the improvement. Remember: an elegant and clean bathroom structure can improve the home value by up to 3%. Let your home make a brilliant first impression with a clean and stylish exterior. 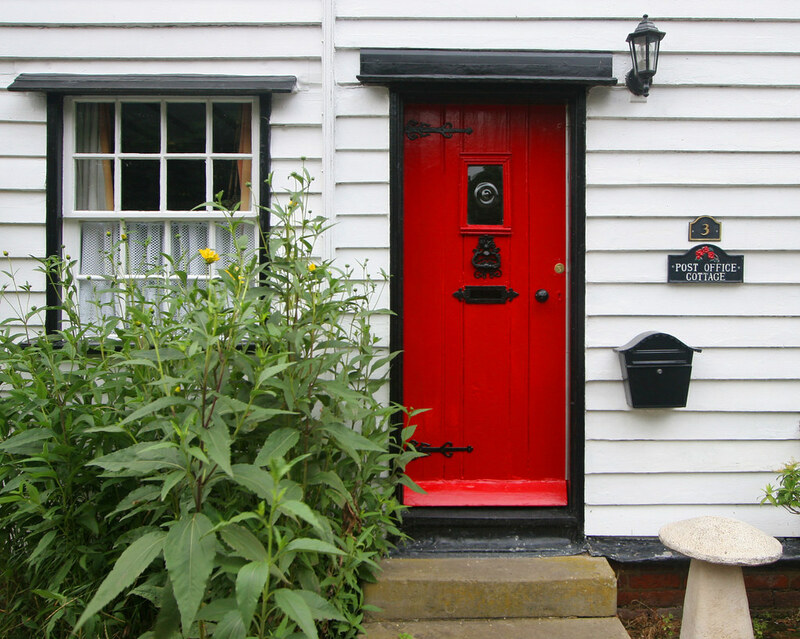 Start by maximising the entrance with a quality front door and a nice shade to adorn your property. Blue, pale green and subtle purple front doors can change your exterior from dull to wow! The devil is in the number: fit new house numbers on your porch that mirror the style of your interior decor. This will give your guests of a taste of what to expect. Finally, old windows just make your home look uncared for. Changing your windows for double or triple glazed options make your property look efficient and modern. More importantly, the first impression is always the one that matters the most. So if you make it count, your home can easily feel like a luxury haven! Two weeks to a more valuable home, is it a challenge you are ready to take? Some changes don’t need long, but they can make a big difference. Besides, you will enjoy inviting your guests to an exciting home for the next family meeting!